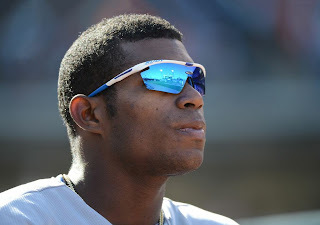 While smashing records on the field, one of Puig’s go-to glasses has been the Rudy Project Magster. Crafted through a tedious but very effective digital modeling system, the Magster incorporates a number of breakthrough technical components including a stainless steel perforated grill built directly into the frame which allows optimal airflow to prevent fogging – a must while playing baseball. Another unique innovation, the Magster utilizes anti-shock pads made from megol, a highly engineered designer plastic compound embedded into both the frame and lens to create a vibration dampening system. Combined with Rudy Project’s fully adjustable nose pads and temple tips for a precise and custom fit, the Magster becomes an indispensable pair of sports eyewear. Copywriting tip: Probably want to avoid the word "tedious" when describing your product. 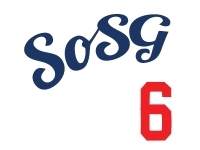 Otherwise: Congrats, Yasiel! I guess celebrity endorsement works. I had no idea that this brand existed, and now I do.